What or who is your most influential book or author? “Experiencing God” by Henry Blackaby was a very influential book many years ago. More recent is “The Cost of Discipleship” by Dietrich Bonhoeffer, “The Prodigal Son” by Henri Nouwen and “The Practice of the Presence of God” by Brother Lawrence. What is the most exciting thing for you to see God do in the lives of people? I love to see God transform lives and then bring about the restoration of marriages, relationships with parents and children and friendships. God continues to be faithful to do the transforming work! Two books that have really impacted me in the last few years are “Celebration of Discipline” by Richard Foster and “Fasting” by Jentezen Franklin. Steak with mushroom sauce and garlic mashed potatoes. I grew up on a small farm in PA and I’m a fan of snakes. I caught and released eight rattlesnakes from our previous home in Clarkdale (or I caught one rattlesnake eight times from our home in Clarkdale…). The most interesting story was when our kiddos were younger and Ali walked out the front door to smack a rug against the fence. As she looked over she found a rattler sunning himself next to her on the column. They were both surprised and unhappy after the interaction and she ran shrieking around to the back of the house. The kids were wondering what could cause such a fun reaction from mom (since they had never been able to achieve that specific tone in her voice) and began filing out the open front door to see what all the fuss was about. She quickly ran in the back door to find them all looking around out the front door and yelled for them to get back inside. Seconds later I received an emergency call at school and came home on my white horse to save the day (at least this is my recollection of the events). 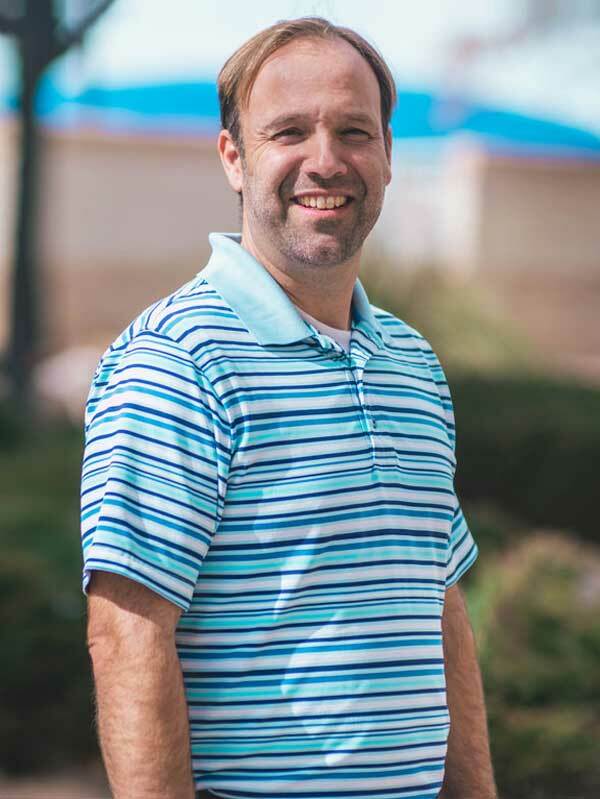 The Verde Valley Christian School has given me an opportunity to have an up-close view of how the Lord captures the hearts and minds of our children. I love watching the excitement of a student who understands what it is to accept Jesus as his/her savior and has made that decision. Kids are so open and honest with their cares and concerns. Their faith and belief is so strong. When God becomes real, they come to him with an excited expectation that he will do great things in their lives, and in the lives of their families. Jesus’ call to come and receive the kingdom like a little child takes on such meaning for me as I get to watch how our students enter in to their relationship with him. 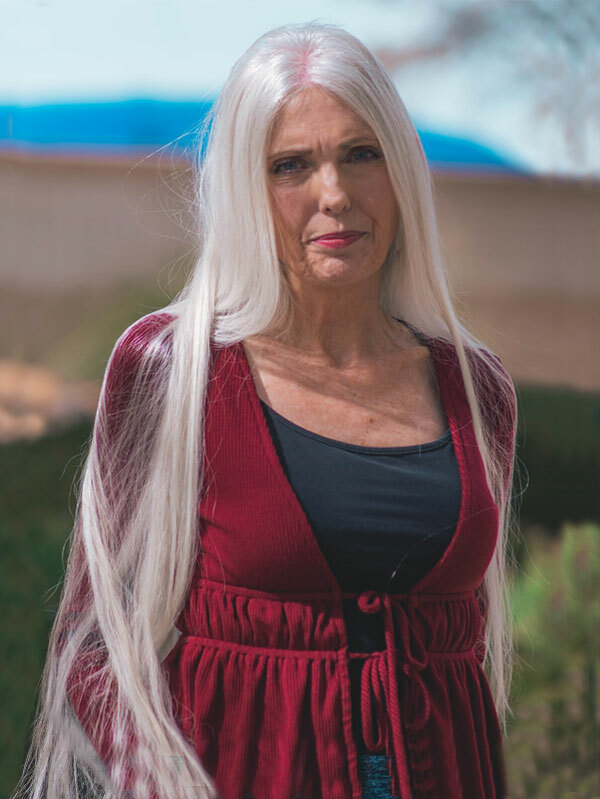 Carol was raised in the Midwest, but Sedona/Verde Valley has been her home for most of her adult years. She has been at Verde since August of 2000, shortly after the worship center was completed. 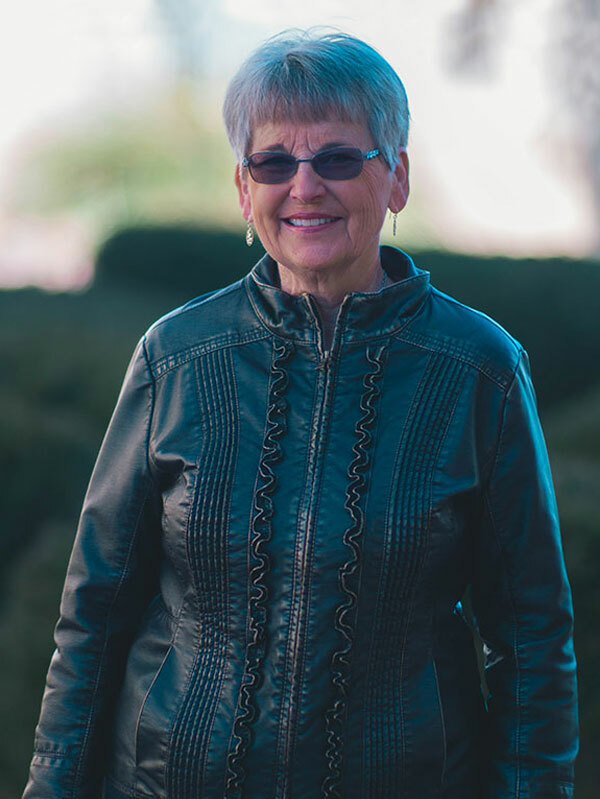 She has attended Yavapai College through the years, taking business and design courses. Her family is quite small; however, her husband’s family is very large and makes up for it. Hmmm… I am into the murder mystery/thriller genre, so it would be whatever I am reading at the time. The Bible – honestly! It has changed my life and continues to do so. I love it! I love anything Mexican – it has to be spicy, flavorful and HOT. Not hot just to be hot, but I do like the heat from seasoning. Once someone experiences the life-changing power of salvation, it is exciting to see them continuing to mature and grow into the likeness of Christ through the power of the Holy Spirit. Karla was born in Billings, Montana (same hospital as Amy, but a few years earlier!) and graduated from Grand Canyon University (when it was still a college). 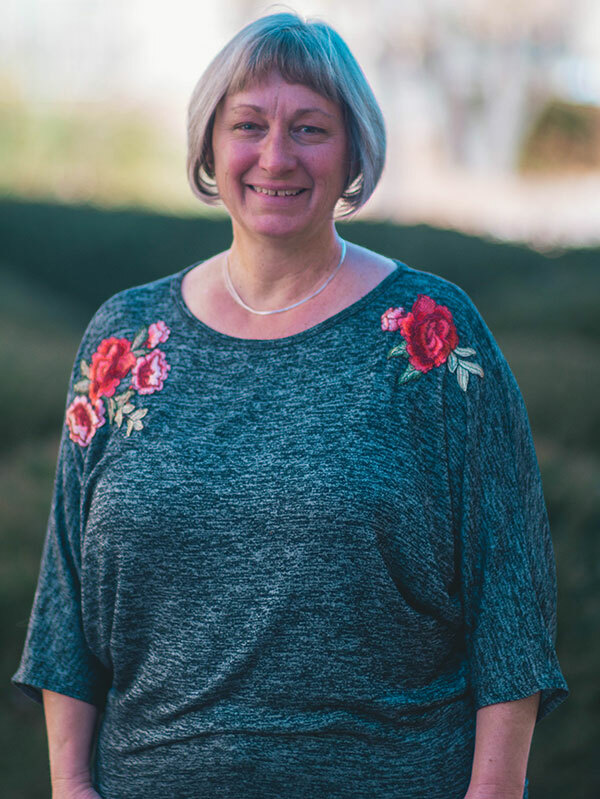 She and her husband, Jim (not Jim Ayres…) have been at Verde since 1993. They raised their son and daughter at Verde; they have since added a daughter-in-law and two grandkids (living in Texas) and also a son-in-law and another grandchild (living in Phoenix). The family covers all areas of personalities, likes and dislikes, talents, quirks… you name it. Their common denominator, besides being family by blood/marriage, is their faith in the Lord Jesus Christ. The Bible. I never get tired of reading and studying it. I read a lot and enjoy Christian romances, mysteries and historical novels, as well. A nice, juicy steak with lots of mushrooms sautéed in butter; also baked sweet potato with butter, brown sugar and cinnamon. Sweet tea rounds out the list. When my kids were small we were visiting Hannibal, Missouri on the 4th of July and were filmed in an IMAX movie called “Mark Twain’s America”. My husband was able to actually track down a copy for me on DVD a couple years ago! I love to see people come to know Christ as their Lord and watch the change He works in their lives. Amy was born in Billings, Montana and attended Oklahoma Wesleyan University. She, her husband, Bob, and their daughter, Allison, have been attending Verde since Fall of 2012. Amy and Bob have been married for 21 years and have been in pastoral ministry for most of that time, pastoring churches in Arizona, North Dakota, Montana, and South Dakota. They are currently on sabbatical while their daughter finishes high school. When she isn’t working, Amy enjoys writing, baking, reading and working on a variety of craft projects. The family also enjoys learning local history, sightseeing in the area and traveling; they would eventually like to see all 50 states. I am an avid reader and have too many favorites to choose just one. It sounds so cliché, but it would have to be the Bible or, like so many others, I wouldn’t be who I am today. Who doesn’t like to eat?! My favorite comfort food is probably a toss-up of something Mexican or Italian. I’ve written a variety of stories for three different newspapers. I love watching people grow enough in their walk with God to be willing to be used by Him to minister to others. I was born in Oregon City, Oregon and grew up in north central South Dakota on a farm. I did not attend college. My husband, Burt, and I have been members of Verde since 1997. We have been married 55 years and have 2 children and 6 grandchildren, 1 grand son-in-law and 1 great granddaughter. We raised our son and daughter at Verde and both were married here. Our son and his family (four kids) live in Texas; our daughter and her family (two kids, one on the way) live in the Phoenix area. I don't have a favorite book or author. However, my goal this year is reading the King James study Bible from cover to cover. Hmm my favorite food that is a tough one. Pizza, German food, ice cream, nuts etc. absolutely NO mushrooms. Something some people may not know about me is that I spent my first 12 years of life on a farm without plumbing and very little heat. I love talking to people and hear their story of how God worked in their lives and got them to where they are today. 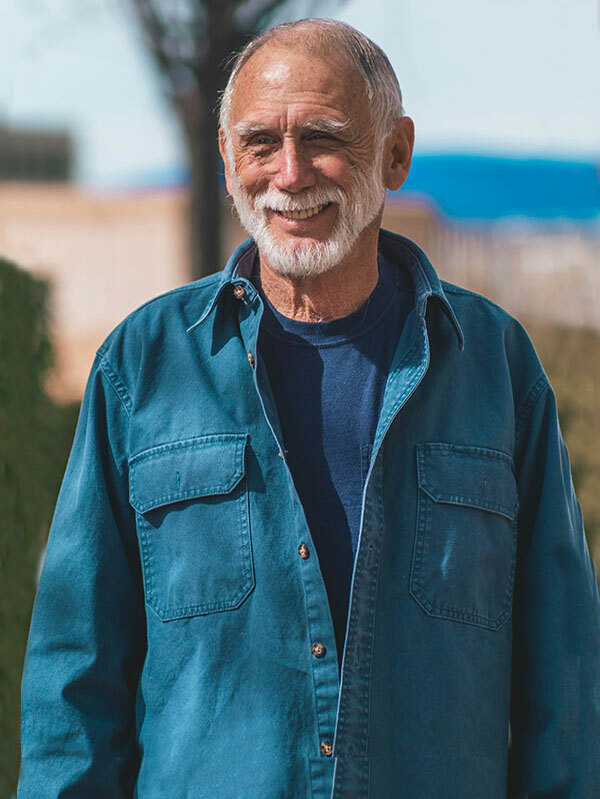 Jim’s hometown is Cottonwood, and he’s been at Verde since 1980. He and his wife, Karen, have kids and grandkids scattered through a few States. “Reign of the Servant Kings” by Joseph Dillow. I read books 24/7 (but not while working!). When people open their eyes to Jesus and begin growing in Him. 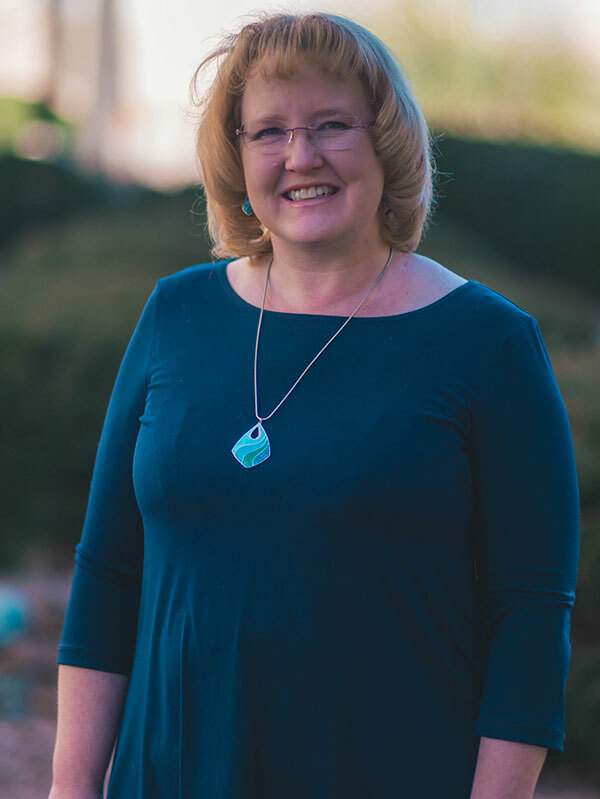 Krista was born and raised right here in Cottonwood, AZ at Verde Community. 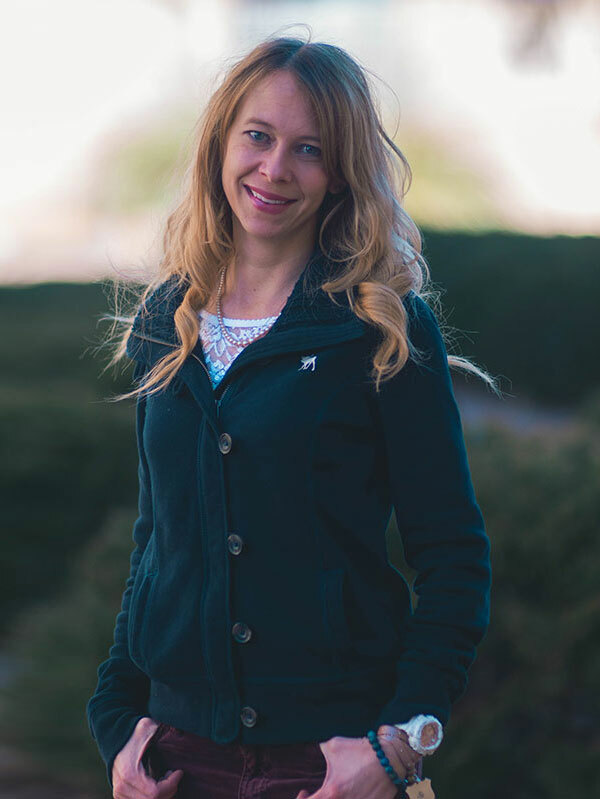 After graduating from Arizona State University with an Elementary Education degree she moved back to Cottonwood to work for her parent’s construction company, which she did for 10 years until her dad retired. Krista has two amazing boys, Ezra (2010) and Jude (2014) who she loves to travel, bake, and read with. Hmmm...right now my favorite kids’ book is Scaredy Cat by Max Lucado. I love hearing my youngest recite it by memory. Oh...you were looking for something with a few more pages in it? I find my favorite is whatever the Holy Spirit is using in my life at that time. Recently I went back and read Believing God by Beth Moore for a second time (it's rare I read a book twice), and devoured Discerning the Voice of God by Priscilla Shirer, and Fearless by Max Lucado. I rarely spend time on reading something fictitious these days. I did enjoy both books Pamela Oxendale (a church member) wrote. I highly recommend you check them out. If I am hunting for something to read it usually starts with an Amazon search of Beth Moore, Max Lucado, Andy Stanley or Pricilla Shirer. I really enjoy French food. I know this is not a choice most would think of, but I like the sauces and the crepes and the bread...and the cheese. I LOVE cheese. I am not athletic, like I can't catch or throw, but I love to snow ski, hike and go to the lake. I am very coordinated and like to dance. I love seeing Holy Spirit encounters. What I mean is, I love when a group creates such a special bond growing in Christ together that they continue to love and support one another even after the Bible studies over; or when someone's need for encouragement or prayer is met because another person is sensitive to the Holy Spirit's prompting and responds with God's perfect timing. I love when words in the Bible jump out at you like they were written specifically for you that day, then moments or days later you can share those same words with someone else who needed them just then. Moments like these show me the Holy Spirit is alive and active in me and in our church body.